A wooden bench is nestled into the small hillside. The location is a good place for resting on long walks or bike rides. 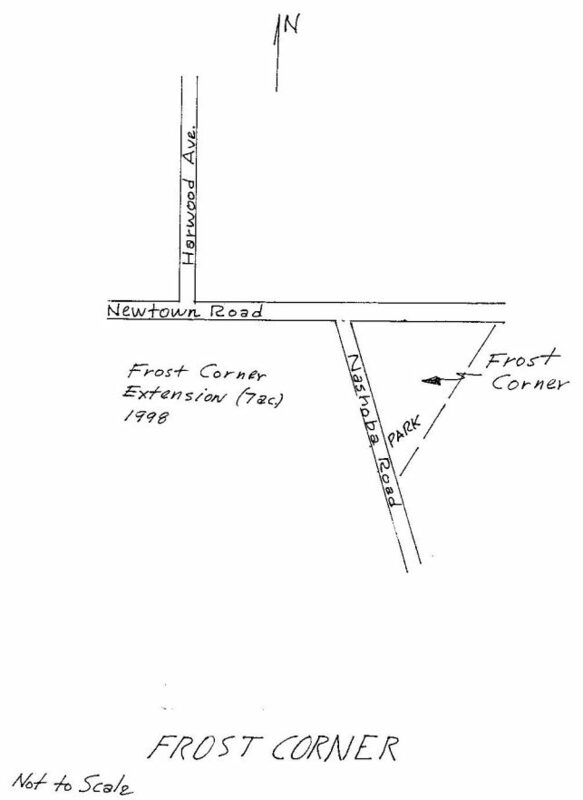 Frost Corner is a few minutes walk from Long Lake Park, Nashoba Wetlands, and Sarah Doublet Forest. There is space for one car on the side of Nashoba Road. 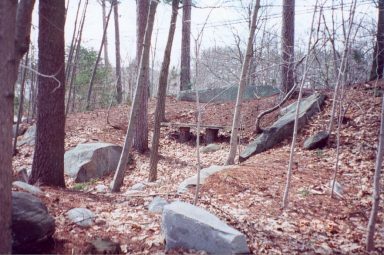 The lands were gifts in 1967 and 1998 to the Littleton Conservation Trust by the Ruth Frost family who lived on the property across Newtown Road. Watch out for traffic on Newtown Road.